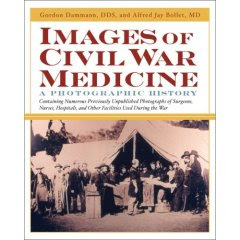 Images of Civil War Medicine: A Photographic History, Gordon E. Dammann and Alfred Jay Bollet, Paperback, heavily illustrated with b/w photogrpahs, 192 pages, Demos Medical Publishing, $34.95. From the Publisher: Dr. Alfred Bollet’s Civil War Medicine: Challenges and Triumphs won wide acclaim as an expert study. Now, in collaboration with Dr. Gordon Dammann, Dr. Bollet has taken his expertise one step further and pictorially illuminated this fascinating chapter in medical history. Featuring 250 rare archival photographs, Images of Civil War Medicine is a comprehensive visual encyclopedia of medical care during a seminal event in American history. The book showcases the uniforms, equipment, and members of a large group of individual Civil War doctors — “Cartes de Visites” — along with resonant images of existing pre-war structures used to heal the sick. Also here are prominent medical educators, hospitals, stewards, and ambulances,as well as images of surgery, dentistry, nursing, and embalming. Ideal for Civil War buffs, historians, and medical history enthusiasts, Images of Civil War Medicine gives a complete overview of this era's medical realities. Why the Confederates Fought: Family and Nation in Civil War Virginia, Aaron Sheehan-Dean hardcover, 312 pages, The University of North Carolina Press, $34.95. 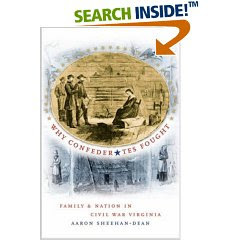 In the first comprehensive study of the experience of Virginia soldiers and their families in the Civil War, Aaron Sheehan-Dean captures the inner world of the rank-and-file. He challenges earlier arguments that middle- and lower-class southerners gradually withdrew their support for the Confederacy because their class interests were not being met. Instead he argues that Virginia soldiers continued to be motivated by the profound emotional connection between military service and the protection of home and family, even as the war dragged on. Aaron Sheehan-Dean is assistant professor of history at the University of North Florida. He is editor of Struggle for a Vast Future: The American Civil War and The View from the Ground: The Experience of Civil War Soldiers. 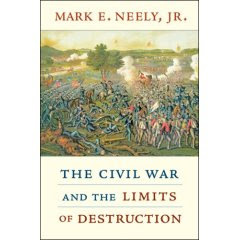 The Civil War and the Limits of DestructionMark E., Jr. Neely, Harvard University Press, 288 pp., hardcover, $27.95. The Civil War is often portrayed as the most brutal war in America's history, a premonition of twentieth-century slaughter and carnage. In challenging this view, Mark E. Neely, Jr., considers the war's destructiveness in a comparative context, revealing the sense of limits that guided the conduct of American soldiers and statesmen. Neely begins by contrasting Civil War behavior with U.S. soldiers' experiences in the Mexican War of 1846. He examines Price's Raid in Missouri for evidence of deterioration in the restraints imposed by the customs of war; and in a brilliant analysis of Philip Sheridan's Shenandoah Valley campaign, he shows that the actions of U.S. cavalrymen were selective and controlled. The Mexican war of the 1860s between French imperial forces and republicans provided a new yardstick for brutality: Emperor Maximilian's infamous Black Decree threatened captured enemies with execution. Civil War battles, however, paled in comparison with the unrestrained warfare waged against the Plains Indians. Racial beliefs, Neely shows, were a major determinant of wartime behavior. 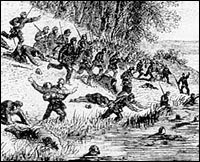 Destructive rhetoric was rampant in the congressional debate over the resolution to avenge the treatment of Union captives at Andersonville by deliberately starving and freezing to death Confederate prisoners of war. Nevertheless, to gauge the events of the war by the ferocity of its language of political hatred is a mistake, Neely argues. The modern overemphasis on violence in Civil War literature has led many scholars to go too far in drawing close analogies with the twentieth century's "total war" and the grim guerrilla struggles of Vietnam. 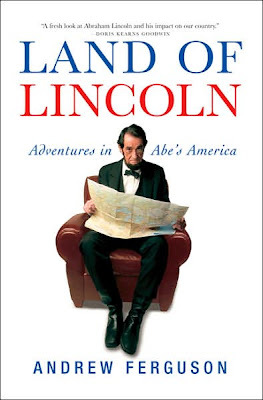 Land of Lincoln, Adventures in Abe's America, Andrew Ferguson, Atlantic Books, 280pp., b/w illustrations, $24.00, 2006. Ferguson, senior editor of the Weekly Standard and a contributor to The New Yorker, The Washington Post as well as several other popular publications has provided a humorous and serious, anecdotal and scholarly and particularly well written tour of Lincoln sites, Lincoln enthusiasts, Lincoln lore, and Lincoln scholars and scholarship. From Richmond, Virginia's Tredegar Iron Works park to Frank Williams' Rhode Island Supreme Court office and his private home, Ferguson takes up issues relating to popular memory and popular cultures. Billy Herndon's Lincoln of 19th century folk culture, Thomas DiLorenzo's rascist Lincoln and Joshua Shenck's melancholy (but funny) Lincoln meet, shake hands and then wrestle each other. Among the spectators are other Lincolns: the WASP lawyer of Charles and Mary Beard, the Prairie Poet of Sandburg, and Allen Guelzo's constitutional lawyer who grasps both pragmatic and spiritual truths. Collectors are distracted from the sport combat of the several Lincolns; they bid on his hair, papers, swaths of cloth with his blood on it, his wife's clothes, his books and signatures. Richard Norton Smith struggles with Disney clones and politicians' wives as he administers the Springfield Illinois presidential museum and library. Sculptor struggle to bring Lincoln out of stone, iron, bronze, copper and (sigh) ceramics. Conspiring to advance Lincoln's leadership skills to businessman is Dale Carnegie and a host of other business skills trainers. And then there is the Lincoln of our hearts; the hearts of immigrants from Thailand, the hearts of school children, and the hearts of Lincoln presenters. Ferguson's book is a joy to read for not only it style and wit but for its grasp of those being interviewed, the museum directors, the children, the parents, and the ephemera hounds. This book is very high on CWL's Best of 2007 list. 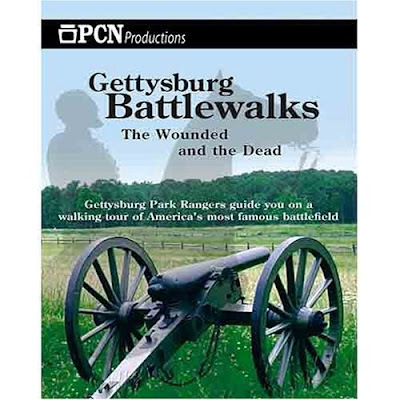 PCN Tours Gettysburg Battle Walks: The Wounded and the Dead,NPS Ranger Joseph Onofrey, Pennsylvania Cable Network, 72 minutes, 1996, released in 2006. Ensconced at the Slyder Farm at the base of Big Round Top, NPS Ranger Joseph Onofrey provides an overview of Civil War battlefield medicine. The Slyder Farm, also known as the Granite Farm, was at times both a battlefield and a Confederate triage station. The 74 acre farm was purchased by William Slyder in 1840 and the current house, built in 1852, has both his initials at the date carved into one of its stones. In 1863 there were five occupants who after hearing the battle of July 1 which was between two and three miles away, and after waking up with the Federal 3rd Corps as their neighbors on July 2nd, skedaddled by noon. Onofrey relates the several types of physical exams that recruits received. One physical examination occurred as an entire regiment marched by a dortor. Other exams managed to let somewhere between 400 and 700 women into the armies. Noting the exceptions, Onofrey skips a description of the usual physical and the forms that were used. He focuses upon camp life sanitation, food, and sickness. 'Death By Frying Pan' is a portion of the presentation offers a wide range of information, from dessicated vegetables to the depth and width of the latrines and their location relative to the troops water supply. Paregoric, an opium derivative, calomel, castor oil, are discussed as well as the issue of mercury being a frequent ingredient in prescriptions. Typhoid struck 27,000 soldiers during the war; there were two million ounces of opium and quinine dispensed. Onofrey discusses battlefield wounds caused by bayonets (.4 of 1%), the variety of artillery rounds, and lastly the minie ball. In the demonstration segment of the presentation, he lays out the surgeon's case and adds a discussion upon microbes. The location of triage/first aid stations and hospitals are discussed. While demonstrating how a leg was removed, he dwells upon laudable pus and pymea, a type of blood infection. Over all, Onofrey receives high marks for putting a lot of statistical and anecdotal information together within 72 minutes. CWL, when not managing an academic library, teaching a U.S.survey course or reading, manages to find time to reenact the American Civil War as an infantryman, a Union medical service captain, a signal corps lieutenant, or Abraham Lincoln. Onofrey's presentation is a very good introduction to the topic of Civil War era medicine; I soon will be adding information regarding the artillery wounds to my own presentation. 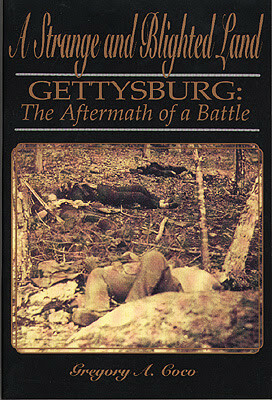 Coincidentally, I an now re-reading Greg Coco's Strange and Blighted Land: Gettysburg and the Aftermath of the Battle. This book is highly recommended and compliments PCN Tours Gettysburg Battle Walks: The Wounded and the Dead. Also, readers would do well to add to their bookshelf Debris of Battle: The Wounded of Gettysburg by Gerard A. Patterson. For a further in dept understanding of the era's medicine buy or borrow (through inter-library loan)two very fine works on Civil War era medicine: Bleeding Blue and Gray and Gangrene and Glory. 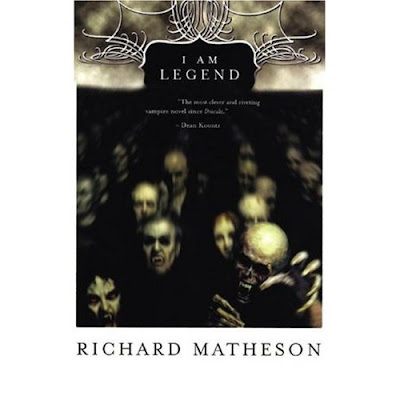 I Am Legend (Audio CD), Richard Matheson, Robertson Dean (Narrator), Blackstone Audio Inc.; Unabridged edition, $19.95, 2007. The Civil War Librarian doesn't read vampire stories; I rank them just above musicals that feature dancing cowboys. Yes, I have read one Anne Rice novel and one Stephen King vampire novel. But, a really well written novel in the horror genre will always attract me. Peter Straub's Ghost Story is a favorite and now beside it on the bookshelf is Richard Matheson's I Am Legend. Often taught in college English courses as an example of superlative interior monolog, I Am Legend is the story of what may be the last ordinary man on earth. A plague devastes the human population of the west coast of the United States, or maybe the planet. Written in 1954 and set in 1976, the novel tells the story of Robert Neville, a survivor who suffers the constant threat of vampires. Living outside in daylight, and bunkered into his well-adapted house during the night, Neville is beseiged by vampires, his conscience, and the precariousness of finding food and fuel. Neville may be immune to the disease due to a slight infection he had a decade before in Central America; parts of the novel are stories of Neville's scientific experiements on his blood and the blood of vampires. Other parts deal with the pragmatics of securing his home against the night predators. Other segments involve Neville's hunting expedition's for food, a pet, and any other survivors. Using flasbacks, Matheson describes the loss of the protagonist's wife to the plague and then later her murder. Matheson visits his daughter's grave and his wife's pyre, at which the U.S. government commanded all infected bodies be burned. By the end of the book the fire is still burning. in part from Neville's contributions to it.
. . . and the ending took me by surprise. Not a surprise that is cheap or hidden, not a deus ex machina either. It is a wind up that is so tight, so well written, so logical that I almost held my breath through it . . . and I was driving my car. I am a big fan of unabridged audio books and Blackstone Audiobooks is my favorite production company. Blackstone's narrators are superb and the production is always top notch. "While our soldiers fight, I can stand and feed and nurse them. My place is anywhere between the bullet and the battlefield." A statement made during the Battle of the Wilderness, May 1864. "General Sherman was right when addressing an assemblage of cadets he told htme that war was Hell!Deck it as you will,it is this, and whoever has looked active war full in the face has caught some glimpses of regions as infernal, as he may ever fear to see." Men "have always known a great deal too much about it [war]for the good of their kind. They have worshipped at Valkyria's shrine, and followed her siren lead, till it has cost a million times more the the whole world is worth, poured out the best blood and crushed the fairest forms the God God has created." "If I were to speak of war it would not to show you the glories of conquering armies but of the mischief and misery they strew in their tracks; and how, while they marched on with tread of iron and plumes proudly tossing in the breeze, some one must follow closely in their steps, crouching to the earth, toiling in the rain and darkness, shelterless themselves, with no thought of pride or glory, fame or praise, or reward; hearts breaking with pity, faces bathed in tears and hands in blood. This is the side which history never shows." These quotations from The Oxford Dictionary of Civil War Quotations, John D. Wright, ed, Oxford University Press, 2006, pp. 21-22. The best biography of Clara Barton is Woman of Valor: Clara Barton and the Civil War by Stephen B. Oates, The Free Press, maps, illustrations, notes, index, 527 pages, 1995. 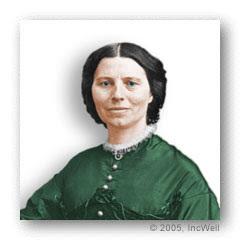 Above (R) is a colorized b/w photograph of Clara Barton. Above (L) is a sign recently discovered in a Washington, D.C. attic believed to be over Clara Barton's 1865 and 1866 office of Missing Soldiers. On the (R) is the Clara Barton Memorial on the Antietam Battlefield. The memorial is located about 300 yards south of a farm at which she established a first aid station. 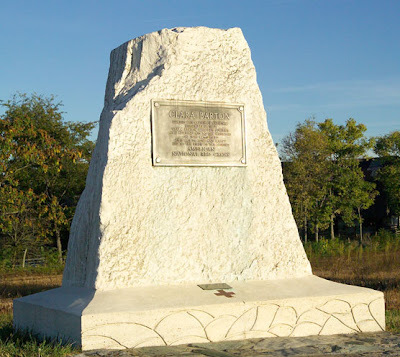 This monument is located on the same road on which the Pennsylvania Reserve Division's monuments stand. "The main differences between black powder today and black powder of the Civil War era and, especially, the post-CW late 19th century, is the availability, upon the commercial or sporting market of the era, of a number of different types of black powder, with differences in fouling reduction and 'clean' shooting, often due to the type of wood used in the charcoal element and the purity of the postassium nitrate. Actually, we have seen, in recent years, a return to that sort of choice, with cleaner burning black powder, like the imported Swiss powder now available to shooters again. The differences between today's GOEX powder, the most common available, which uses the old Dupont formula, and Civil War era military powder are, I believe, minimal, although an exact comparison is impossible. Ballistics tests I conducted with a modern chronograph give the same velocity to a Minie ball reported at the time, when they used a ballistic pendulum. 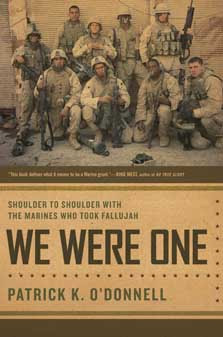 We Were One: Shoulder to Shoulder With the Marines Who Took Fallujah by Patrick K. O'Donnell, Da Capo Press, chronology, maps, notes, index, 244 pages, 2006, hardcover $25.00, 2007, paperback $15.95. CWL---In its audio compact disk version, this book is an immersion experience. Leadership in combat is a strong element in We Were One and in this book the leaders get shot up. From boot camp, to training camp, to Kuwait, to Fallujah, Lima Company brings together a diverse and articulate group of young men, who are in many ways representative Americans. I travelled to Gettysburg, PA and back from the Pittsburgh, PA metropolitan region, and for the nine hours it took, I was saturated with the story of this Marine company and its platoons. The strategy, tactics, and the boots on the ground received equal time from the author. Patrick K. O'Donnell had the distinct advantage of not representing any news gathering organization. He represented only and himself, and in that sense he represented you and me. Shelby Foote once stated that all war stories are anti-war. O'Donnell listens and reports; there are very few interjections of his own personality and agenda in this book. All war stories are anti-war in the sense that if they bring the reader into the conflict and allow the soldier to speak. There may be good wars but all deaths are a loss to each of us. Below is the Publishers' Weekly review of this book. The reviewer misses the mark by stating that O'Donnell falls in love with the soldiers, who perform fantasy heroics. The reviewer believes that only a heroic enemy makes other's actions heroic. Surprisingly, the reviewer doesn't dispute O'Donnell's reports of the Jihadist's drug induced frenzied violence. But for the PW reviewer, the Marines are not heroes for facing down suicide assaults, ambushes, and booby traps conceived and perpetrated by crack-heads. Does the reviewer think that heroes are only made by taking action against rationale human beings? Military historian O'Donnell (Into the Rising Sun) embedded himself in the 1st Platoon of Lima Company, 1st Marine Regiment. His book describes its training and deployment to Iraq in 2004, where the platoon patrolled, fended off guerrilla attacks and finally "fought bravely and died in the Iraq War's fiercest battle" in Fallujah. Most of the book is a detailed, blow-by-blow description of the brutal street fighting, during which nearly the entire unit became casualties. As the author portrays them, these Marines were heroes and warriors with only macho flaws, such as heavy drinking or practical joking, while their enemies are simply terrorists. Maintaining that our troops fight because they love America and their buddies, but their opponents fight because they are drug-addled, suicidal maniacs, the author forgets what every military buff knows: one cannot be a great warrior without a worthy opponent. Like many embedded reporters, O'Donnell appears to have fallen in love with his subjects, adding to the growing genre of worshipful, jingoistic battle narratives about Iraq. Though these Marines fought with great courage and the details of their battle make gripping reading, the author's uncritical cheerleading reduces their accomplishment to fantasy heroics. With an introduction to Confederate commerce raiding, a brief biographical sketch of Raphael Semmes, and a quick look at the voyages of the C.S.S. Sumter, Spencer C. Tucker begins the story of the C.S.S. Alabama. The story is told in about 100 pages and is not over dramatized nor hagiographic. 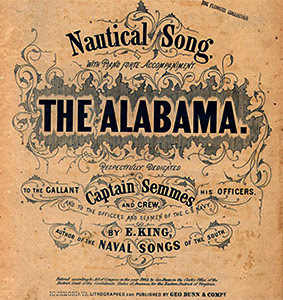 The story includes overviews of Confederate and U.S. diplomacy, English ship construction techniques, and significant details on how to maintain sanity and security on a ship that has a crew of essentially pirates captained by a patriot. Launched in May 11862 from Liverpool, England, the C.S.S. Alabama has a shake down cruise to the Azore Islands where it receives its guns and its commission as a Confederate States of America ship. It is not a privateer and it does not carry a letter of marque. From Newfoundland to Galveston, Texas, the ship loots, burns maritime trade and challenges the U.S. Navy. Sailingthrough the Carribbean, the South Atlantic, and the Indian Seas and Oceans, Semmes will tally 75,000 miles and 66conquests. By August 1864, the ship's superstructure and masts are stressed to the point acquiring leaks and losing speed. During a necessary stop at the French port of Cherbourg, the Alabama is trapped by the U.S.S. Kearsarge and it resolute commander. The battle is described in suspenseful detail by Tucker and the conditions of the Kearsarge's victory include a considerable degree of luck which it made for itself and lost by the worn out Alabama. Tucker covers the after the battle story also: the escape of the crew and Semmes aided by a British vessel, Monet's painting of the fight, Semmes escape from France, his later career and conludes with the British payout for damages to the U.S. maritime industry and the French discovery of the Alabama's remains that are located at 200 feet below the surface and six miles from the coast. The wreckage of the Alabama is on the Frence navy's test for it's sonar operators. CWL recommends both books for several reasons. The real war seldom gets into the books, newspapers, TV news. Hosseini presents elements of the human suffering by civilians during wartime, whether in wartime Dixie or wartime Afghanistan. By their natures race, gender, class, religion and violence are divisive. How children, families, workers and immigrants suffer is difficult to describe and sometimes fiction presents a more nuanced and emotionally evocative story than the very best of peer-reviewed scholarship. Also, The Kite Runner, read by the author and A Thousand Splendid Suns, read by Atoss Leoni, are accessible means for a reader/listerner to widen their knowledge base of contemporary history. The novels cover about 30 years of Afghanistan history as lived by some of its citizens. What were once headline news in the 1980s for the CWL are now personalized through family history. Much of the news today is not about Iraqis but about Americans in Iraq. It is not a stretch to understand that the cultural forces presented in these novels are also at work in Iraq. Starred Review. Afghan-American novelist Hosseini follows up his bestselling The Kite Runner with another searing epic of Afghanistan in turmoil. The story covers three decades of anti-Soviet jihad, civil war and Taliban tyranny through the lives of two women. Mariam is the scorned illegitimate daughter of a wealthy businessman, forced at age 15 into marrying the 40-year-old Rasheed, who grows increasingly brutal as she fails to produce a child. Eighteen later, Rasheed takes another wife, 14-year-old Laila, a smart and spirited girl whose only other options, after her parents are killed by rocket fire, are prostitution or starvation. Against a backdrop of unending war, Mariam and Laila become allies in an asymmetrical battle with Rasheed, whose violent misogyny—"There was no cursing, no screaming, no pleading, no surprised yelps, only the systematic business of beating and being beaten"—is endorsed by custom and law. Hosseini gives a forceful but nuanced portrait of a patriarchal despotism where women are agonizingly dependent on fathers, husbands and especially sons, the bearing of male children being their sole path to social status. His tale is a powerful, harrowing depiction of Afghanistan, but also a lyrical evocation of the lives and enduring hopes of its resilient characters. General James Longstreet in the West: A Monumental Failure, Judith Lee Hallock, McWhiney Foundation Press, 1998, 134 pp., maps, b/w photographs,order of battle index, 134 pp., $11.95. A diatribe is defined both as a long monotonous piece of writing and a wooden or metal strip serving as a guide for making a true level surface on wet concrete pavement. General James Longstreet in the West: A Monument Failure may be viewed as having the attributes of both types of diatribe. It is a monotonous, simplistic and negative presentation of Longstreet's late 1863 generalship. It is also a scraper of sorts, one that simplifies by trimming away all that is excess and all that does not support the end that is desired by the worker. Yet, this slender work is padded. Of the 134 pages, 39 are Orders of Battle for four armies. Two of these armies are Federal and two Confederate. So about 25% of the text is extraneous since the book is about a personality and not regiments or brigades. Of the remainding pages, one half to two-thirds of each page is taken up by a mini-biography, a map, or a photograph. Several of biographical enteries do not bear on the topic. Mary Chesnut's biography takes up major portions of two pages. She is not mentioned in the text at all, except in an other extraneous biographical entry, that of James Seddon. Now, I am not a Longstreet worshipper and he does have his faults. Far from perfect, Longstreet fiddled with his own biography, feuded with McLaws during and after the war, was less than cooperative or supportive of Bragg at Chattanooga and failed to achieve a success at Knoxville. The Knoxville campaign, both Grant and Longstreet knew was pointless. Knoxville could fall to Longstreet but would be outflanked and given up because Chattanooga was held by the Federals. On the other hand, if the Union retreated from Chattanooga then Knoxville would easily fall to the Confederates. The author states that "despite his delusions of competence, Longstreet proved himself incapable of independent command. His incompetence was exceeded only by his arrogance" (p. 84) Her argument is decidedly unproven in this book which never rises above being a diatribe padded with extaneous material. 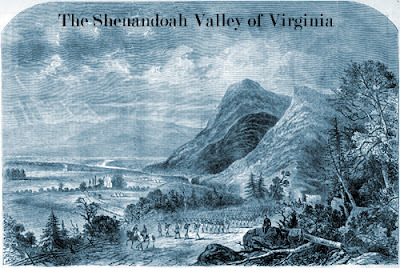 The Shenandoah Valley of Virginia, Michael Mahon, in Virginia At War, 1861, William C. Davis and James I. Roberston, Jr., University of Kentucky, 2005, pp. 131-148. With the Blue Ridge Mountains on the east and the Allegheny Mountains on the west the Shenandoah River runs from the southwest and towards the northeast. Lynchburg lies at the southwest end and Harper's Ferry lies at the northeast end. Long but narrow, the valley was and still is an agriculturally very productive region of Virginia. During the secession crisis of December 1860 through April 1861, most Valley citizens opposed secession and sent like-minded representatives to the secession convention in Richmond during the February through April meeting. Only four secessionists were among the 19 representatives from the Valley's voting districts. Lincoln's election and the secession of the lower South did not have the impact in the Valley districts as the events had in the Tidewater districts. The Republicans refusal to compromise on the extension of slavery became the wedge issue employed by the pro-secession delegates to nudge the state towards secession and were confident that Virginians would not move away from support of the new Confederacy. Two major factors were responsible for unionism being so wide spread in the northern counties of the valley. The Baltimore and Ohio Railroad was the largest employer in this part of the valley and the politicians of Martinsburg guarded its regional economic impact. In addition, Winchester had a significant minority of Unionists and did northeastern (lower valley) counties of Berkeley, Clarke, Frederick and Jefferson counties had Unionist slight majorities or strong minorities. The ascendancy of the Confederacy in these counties is directly related to the presence of Confederate forces. Troops under the command of Jackson during April, May and June. During this time 6,500 Valley men were organized into the 2nd, 4th, 5th, 27th, and 33rd Virginia regiments which later were recognized as the Stonewall Brigade. Though all state politicians in Richmond believed that the lower (northeastern) valley should be held by the Confederacy, Johnson and other military leaders believed it was indefensible. Tactically, the Winchester area was the further point of practical military defense. The fear that Union occupation of the Valley propelled Richmond leaders, Samuel Cooper in particular, ordered Johnson to strip the Valley of foodstuffs in 1861. Wells J. Hawks, lifelong resident of the region and former mayor of Charlestown, became the chief commissary officer of Jackson's troops. By May, Hawks and his staff denuded the Winchester region of corn, oats, wheat and flour, as well as beef, pork and vegetables. By the end of 1861, Hawks reported to his superiors that he had purchased 1,300 barrels of flour and could obtain another 5,000 barrels during the winter months. Also in December Adjutant General Cooper telegraphed Major John Harmon, Jackson's quartermaster, that the Virginia Central railroad would be unable to transfer troops from the Valley to Manassas because all its cars and engine were transferring supplies. In addition to selling the agricultural produce of their community, Valley citizens generated income by offering clothing, medical care, and horses to the Confederacy. The economic prosperity of the region increased as prices increased. Businesses not related to military demands took downturns in their gross sales and net profits; furniture and cabinet makers, jewelers and clothing retail stores suffered. Local residents realized both economic advantages and disadvantages; any business relating to taking care of soldiers was profitable and any business unrelated to taking care of soldiers was prostrate. Ironically, the cost of farm labor increased in the summer of 1861 which in turn diminished net returns on agricultural goods. 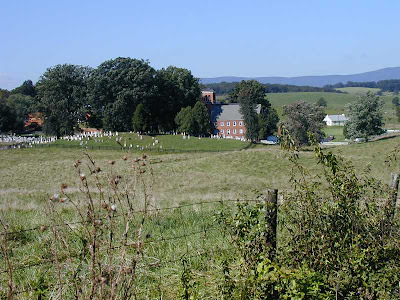 There were less than 200 adult slaves in Shenandoah County, and local residents complained to state representatives that soldiers must be sent home to harvest the July, August and September crops. Farm families struggles became acute when not only labor was scarce but also the heavy livestock used in the harvest became rare. Military impressment of teams of horses and oxen caused resentment toward the military. 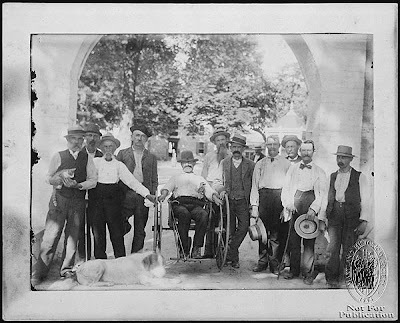 Even teams that were needed to transports those Southerners fleeing from Harper's Ferry, Martinsburg, Shepardstown, Charlestown, and Berryville were hard to find and when available they were costly. As the war progressed, coffee, tea, sugar and salt were in shortage supply and their prices spiraled upward. The price of coffee doubled in August, rising from 25 cents to 50 cents a pound; the price of salt nearly quadrupled from 8 to 30 dollars a pound. "Our winter will, I fear, will be rather a hard one," wrote Julia Chase of Winchester. From the firing on Fort Sumter to the fall of 1861, economic prosperity and depression, and rising prices and rising costs, as well as the emotional shock of losing adult males on the battlefields and campgrounds, Southerners in the Valley were being afflicted by shortages of commodities and heartaches of losing kin. The empty cupboard and the vacant chair were becoming common in Valley households. Larry M. Logue and Michael Barton, eds., The Civil War Veteran: A Historical Reader, New York: New York University Press, 2007. ix + 457 pp. Notes, index. $75.00 (cloth), ISBN 0-8147-5203-9; $26.00 (paper), ISBN 0-8147-5204-7. When the guns fell silent at Appomattox and other sites of Confederate surrender to the Union Army, the Civil War was technically over. The Confederates were paroled and headed home, penniless and hungry in their threadbare clothing. The Union Army was hastily marched to Washington, D.C., to parade in the Grand Review. But the vast majority of those men were broke, some not having been paid for more than one year. 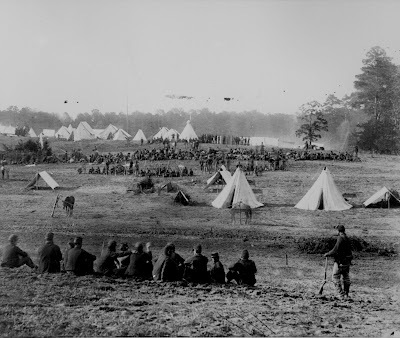 The Union Army had a plan to muster out its soldiers; the Confederates did not even have a government, much less a plan to return surviving soldiers to peaceful civilian life. It is at that point that Larry M. Logue and Michael Barton pick up the fate of the Civil War veterans. and creates a flow into the next stage of veterans' experiences. by returning soldiers. The systematic method used by the Union Army is well presented in Dixon Wecter's "By Rail and Boat." Barton in "Did the Confederacy Change Southern Soldiers?" 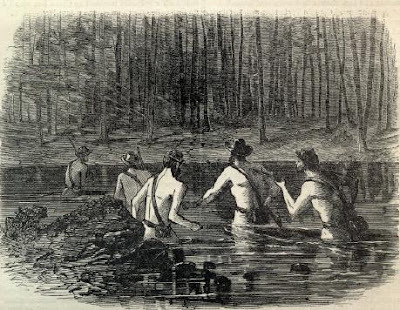 and Gaines M. Foster's "Ghost Dance" trace the dangers and psychological fears of Confederates on the trek home and the months following the war. Foster focuses on the fear that the "Confederate dead were more powerful and awesome than the survivors of the war" (p. 51). Both Barton and Foster emphasize the psychological aspects of the losing side, a problem that received little or no attention at the time. Only William B. Holberton in his "Confederate Demobilization" seems to miss the point. His essay would have contributed a much more valid portrayal of the event if he had used more diaries and contemporary newspaper sources. South to avoid expending large sums of money to aid veterans. the history of the late nineteenth century. faced the most adversaries and hurdles to their memory. W. Fitzhugh Brundage sums up the importance of memory when he writes that "the fleeting character of memory demands the continuous creation and re-creation of a sense of the past; no enduring social memory can be entirely static" (p.436). that they received even after the war that needs to be told. The preceding is from H-NET BOOK REVIEW and published by H-CivWar@h-net.msu.edu (October 2007)Copyright (c) 2007 by H-Net, all rights reserved. CWL: I will be requesting this book through inter-library loan and will be reading several of the essays. Readers of this weblog will see a discussion of of the essays in late December. Historical memory and the rise of the Lost Cause worldview are my interests. I am curious as to whether there is an essay that addresses post-traumatic stress. Shook Over Hell by Eric Dean is a favorite of mine and is an assigned book for those students who are psych majors in my U.S. survey sections. News---'Canon balls' Return to Gettysburg: Water Park Better Than Casino? A few months after a plan to build a slots casino in Gettysburg went was defeated, a Mechanicsburg-based developer is considering building a water park in southern Adams County, once again raising questions about what fits and what doesn’t fit near the historic battlefield. A Mechanicsburg couple wants to build an indoor water park and theater in pasture land about 4 miles south of the 6,000-acre Gettysburg National Military Park. The proposed water park site lies along Cunningham Road, adjacent to the Boyd’s Bear Country store in Cumberland Twp. Cali Entertainment, owned by Pete and Peg Califano, has asked the township to change zoning language to permit theme parks and amusement park rides in a mixed-use district, which is how the land is zoned. Paddock said he is not opposed to the idea of an amusement park generally, but thinks the township should limit the size of Cali Entertainment’s plan. He also questions whether the area is the right venue. It is a familiar position for the Paddock family. Last year, Paddock and his wife, Susan Starr Paddock, were driving forces behind the successful push to keep a casino from being built near Gettysburg. Cali Entertainment has not filed any formal plans for the water park. The developers have shown concept plans at some public meetings. Paddock said he thinks a water park is “out of character” with what Gettysburg is all about. “The battle is the only reason Gettysburg is famous, and people come here to get a sense of that battle,” he said. Cali Entertainment’s plan has evolved from an outdoor amusement park to an indoor facility, Waybright said. After the plan changed from an outdoor park to an indoor one, the board realized that the township had no language in its ordinance to control how that would be done, he said. “We hired a consultant, and what we’re considering is putting wording in that would set all the design standards that a facility like that would fall under,” he said. Staff writer Barry Fox contributed to this report. CWL reflects: Investment capital was betting on slot machines a year ago, now it is betting on water slides. Compare: the casino was 24/7/365, the water slide park will be seasonal; gamblers were much less likely to visit Gettysburg National Military Park than families using the water park are; the casino was for those 18 years and above and the water park is for all ages. If Boyd's Country Bears store does not sully the memory of the battle then neither will near naked people doing canon balls in a pool. Isn't that done already in the hotel pools on Steinwehr Street?